All across BC multiple elections have been taking place today, November 19, 2011, and I was helping cover the election results right here in Fort St. John. In my opinion the biggest race in this election was for the role as Mayor. 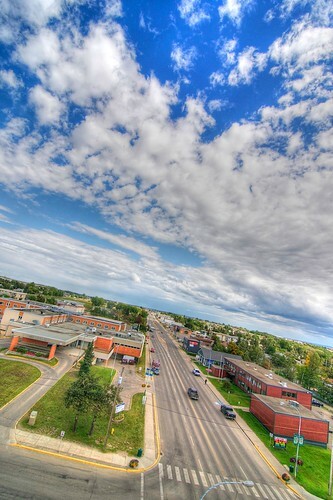 The going out Mayor, Bruce Lantz, has a bit of an uneasy history as Mayor and as he was not going to seek re-elections it became a chance for someone new. 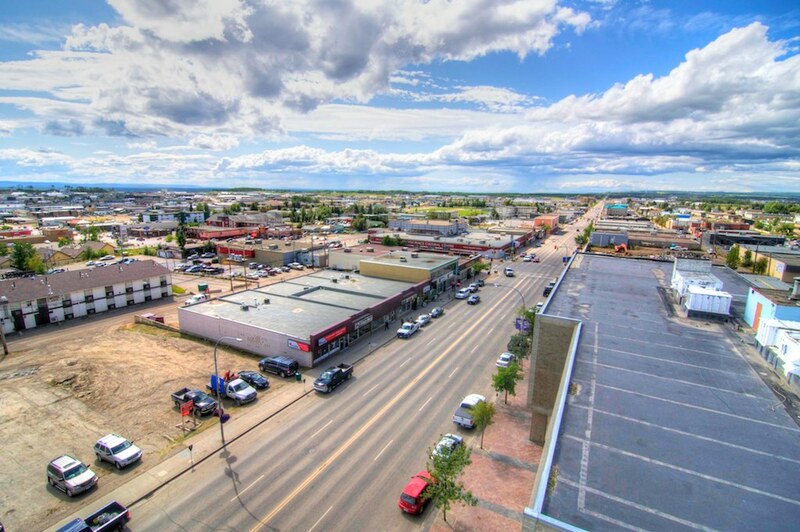 So we had Don Irwin and Lori Ackerman, both previous councillors put in their name, along with PRRD resident, but Fort St. John business owner, Mike Murray. From the start I felt as though this race was going to be closer than people expected, these things normally are. Don and Lori were neck and neck by the end of it, with Murray left in the dust. The final results were Lori 1269 and Don 1209, a close race. While Lori is a friend, to me it doesn’t matter ultimately who is Mayor, while I’m glad she has gotten the position and I believe she will do amazing, I’m not that up on the politics of this town. People with shun me for not being informed, but I believe I know enough to make an educated vote, but it is definitely not something I am interested. Regardless of all that, I got this picture below to capture the moment. 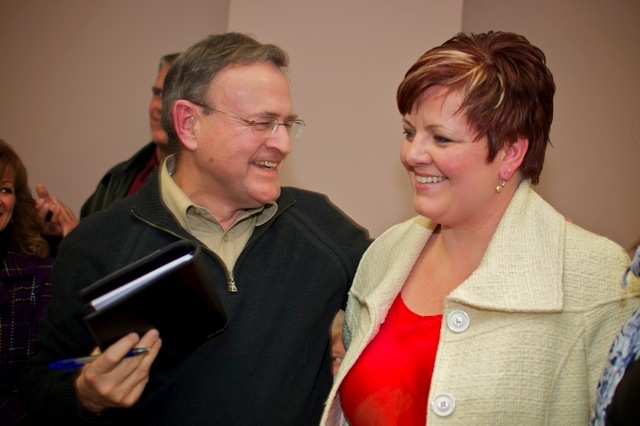 It is from seconds after Lori was announced the as Mayor. As it was called out Andy, Lori’s husband let out a yell – or more of a yelp – of excitement and relief. There is no real reason why I took these photos. I’m sure they will be used frequently in the future for various projects though. 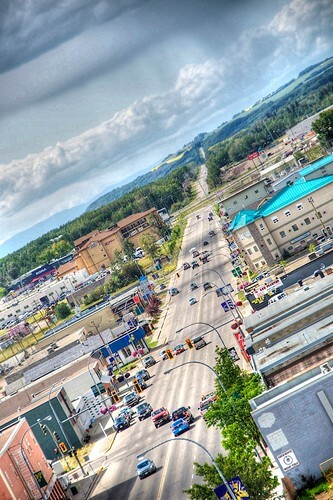 My view feature Fort St John busiest road in town, 100 Ave, which runs through the heart of town. The reason I went and took the photos on Friday because clouds were presented perfectly. Having nothing but blue sky is beautiful as well, but the clouds add a whole new dimension to the photos, which is what I wanted. I was shooting in RAW and for the most part in Aperture Priority mode with an f/stop of 11 and ISO of 100-325. Once on the computer I did Tone Map them to bring out shadows and colour. Enjoy and leave your feedback. I know many of you are not in Fort St John, but if you are and are into Garage Saling, this map is for you. It shows all the Garage Sale for the morning of July 30. Some start at 8am, others at 9am. 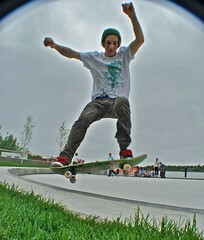 This is the second Fort St John Skatepark Committee meeting I have attended, they happen every two weeks at the moment. If you look back two weeks ago [HERE], I introduce what is all going on with getting a new, much-needed, skatepark in Fort St John. I also mention why I am involved, even though I don’t actual skate very well. The meeting tonight covered three main points, presenting to City Council, ideas for the website and the mission statement of the committee. The presentation will be happening at the August 8th council meeting, which will take place at 3pm at City Hall (everyone should come). The premiss of this presentation will be to ask the City for land for the new skatepark. The committee is able to fundraise to have the new park built, but we need the land to do it. We will be presenting with an ideal space in mind, one that is not only accessible to everyone, but also in a high visibility area. Have it in a high visibility area is one of the key factors we want to see with the new park. By doing this we are hoping it will deter any mischief and mayhem, which isn’t even caused by those who use the current park for what it is intended for. 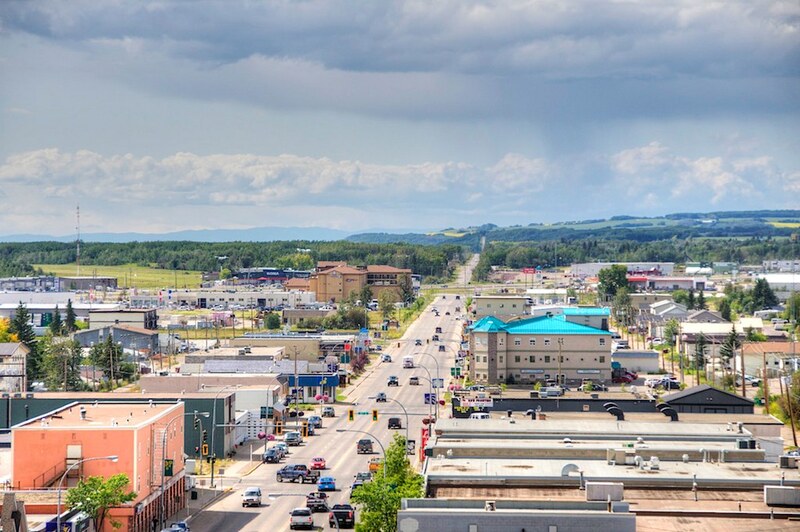 Bottom line is we want to show City Council and the community as a whole that we are a group of positive, honest people who want to help build a recreational area the community can be proud of (and is comparable to parks like Dawson Creek, Tumbler Ridge and Chetwynd). This is more my fortay, which I need to deal with, but there is a lot a website can be for a small group. Essentially it can be the face of the group and where all important information is stored. 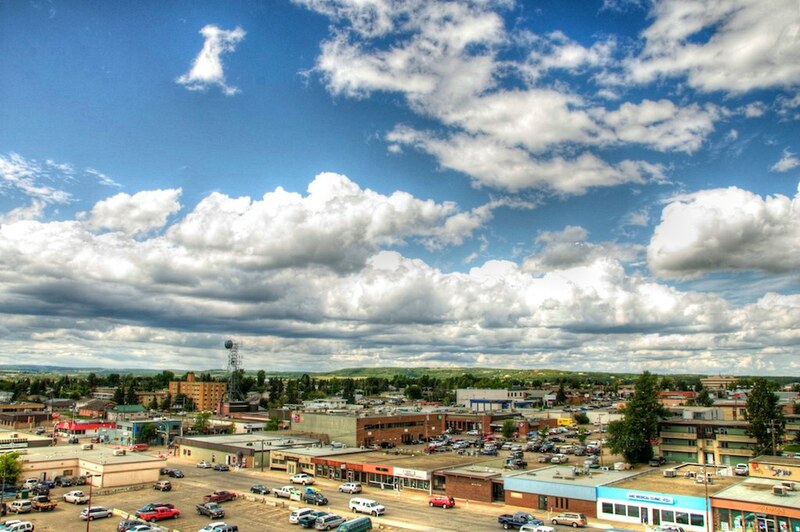 Some of the ideas we talked about included, have a full on media section where we can showcase the local talent that Fort St John possesses, an area to show all those who have supported the park and group, our mission statement, the latest news, contact info and how anyone can donate. A few more ideas rolled around for the website and I have a few I want to maul over for a couple of days, then I will begin putting them into action. There is not much to say in this area, but we have started to form an official mission statement. The normal stuff, who we are, what we stand for, what we want to accomplish, etc. When it is done it will be displayed on the website like I mentioned. That pretty much wraps up that meeting. 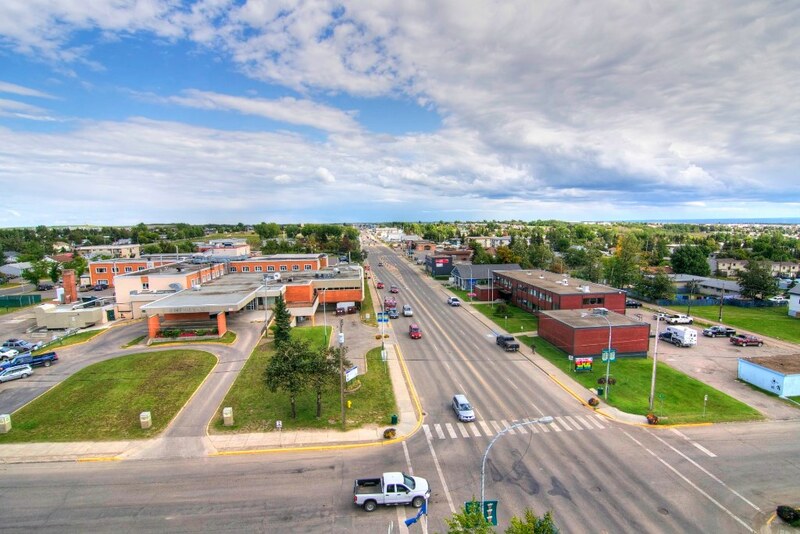 One thing I would like to point out, from a tourism aspect, is that Fort St John is the only community in the Peace Region that doesn’t have a “recently” redeveloped skatepark. The idea we flowed, form the tourism aspect, is if this park is built it will complete a circuit that will draw southern skaters and riders to the area. The speed skating track in the Pomeroy Sport Centre brought skaters from Calgary and Vancouver, why can’t a new skatepark work the same way. As always “Like” the page on Facebook to follow what is happening and consider attending the August 8th City Council Meeting. A friend of mine informed me that PriceSmart was having $10 deals on different type of meats, but I didn’t think I wanted to get any at the time, until I went there myself. I also just want to give him credit becuase it was him who told me about them. Anyways, I did go to the store last night and ended up getting steaks, ground beef and chicken. Four steaks, packages in two. 2kg of ground beef for, you guessed it, $10. Of course I just froze most of it, but not before packing stuff into individual packaging. Go out and get some for yourself.